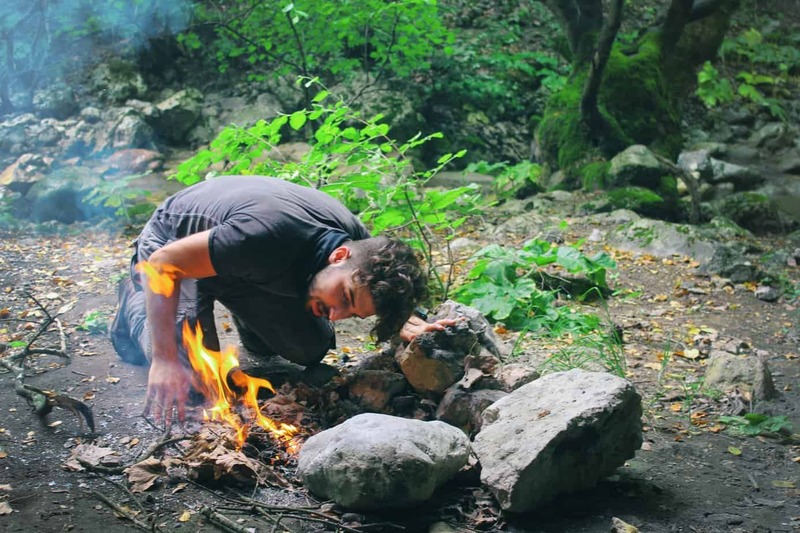 For those adventurers who are serious about protecting themselves and being warm and dry while exploring the good outdoors, it’s important to have a well-designed jacket in their gear that can help your perform and stay safe. There are a lot of activewear jacket brands available on the market and many of them claim to produce the product that incorporates high-quality materials and design element only to miss the mark when product development is finished. Climbing, hiking, skiing, snowboarding, and more all pose very serious threats for people who are unprepared and unprotected from water and wind. One of the best ways to ensure your safety while exploring nature or participating in your favorite outdoor activity is by wearing a premium sports jacket that is designed with your needs in mind. When you begin looking for a high-quality sports jacket, you want to make sure you purchase a jacket that is made by a trusted company. A brand’s history and reputation will tell you a lot about the quality of their product and if you should spend your money with them or not. One of the most trusted manufacturers of sportswear jackets is Patagonia. 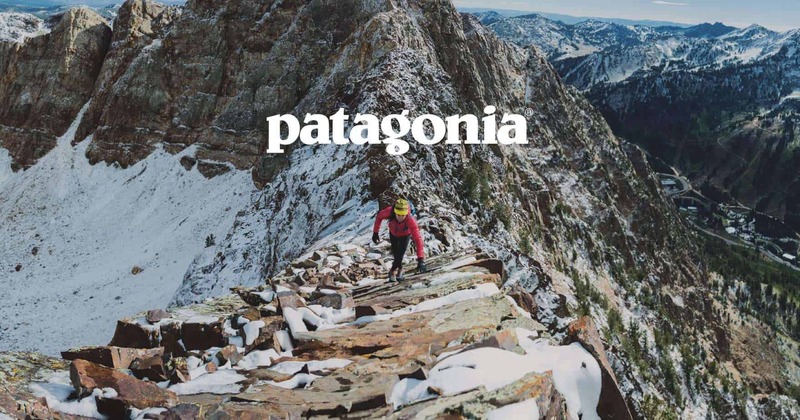 Patagonia makes a wide array of active and protective sports jackets and other accessories specifically designed for outdoor enthusiasts and adventurers gear. Patagonia makes premium outwear clothing for both men and women so everyone can get the water and wind protection they need. 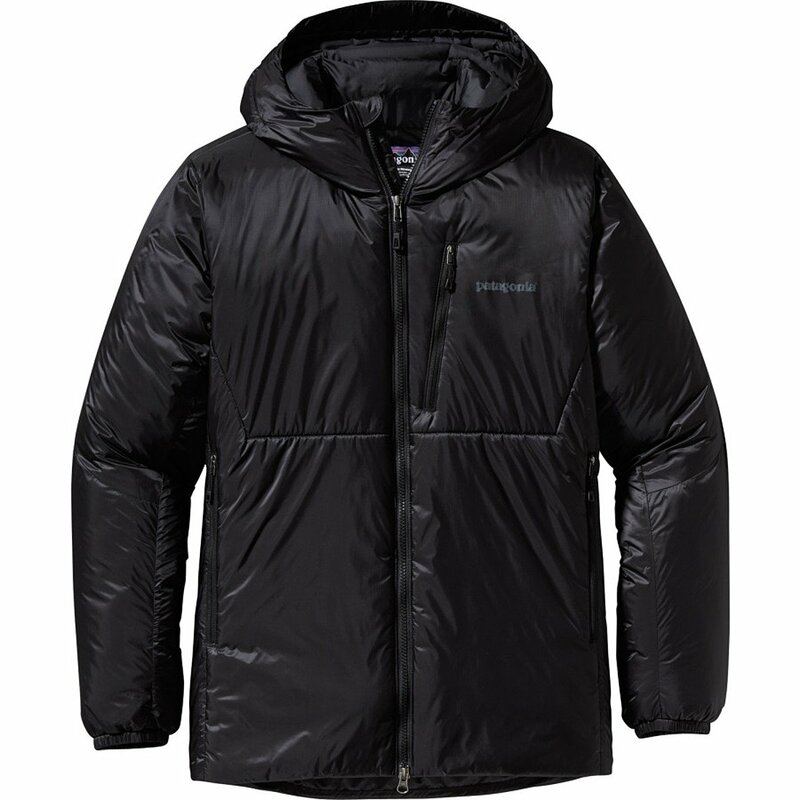 Patagonia jackets come in many different sizes, designs, material compositions, and more. 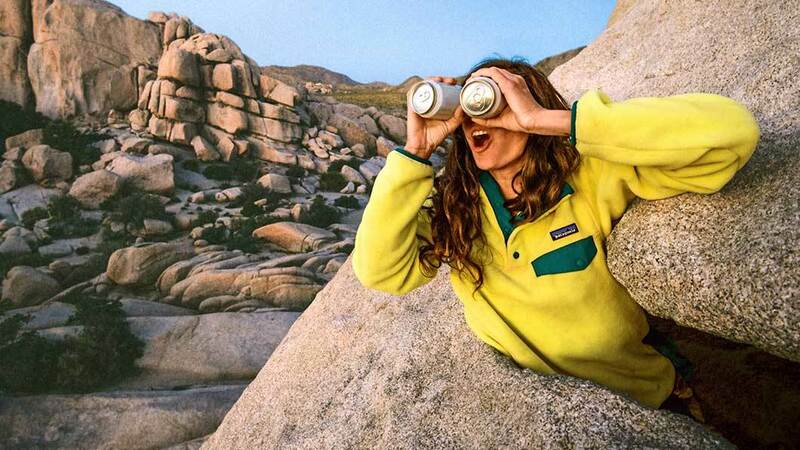 In this guide, we’re going to give you an in-depth look at the top 3 Patagonia jackets of 2019 which will allow you to partake in your favorite outdoor activities while remaining safe and protected. We’re going to cover every aspect of our Best Patagonia jacket picks so that you can make the best decision on which jacket fits your needs perfectly for your good adventures days. Looking for Something for the Rain? Patagonia was founded by Yvon Chouinard who started his passion for climbing at the young age of 14. Chouinard was so passionate about climbing that in 1957 he decided to go to a local junkyard to find parts he could use in order to teach himself how to blacksmith. During this time Chouinard began producing small pistons made from parts he found in the junkyard and started selling them to his friends. Shortly after, the popularity of Chouinard’s product became so large that he was forced to go into a partnership with his business friend Tom Frost just so he could keep up with the growing demand for his good products. By the 1970s, Chouinard Equipment was one of the largest manufacturers of climbing gear accessories out. Over the years, Chouinard made changes to the way he approached manufacturing is a line of performance breathable jackets and began to put an emphasis on innovative textiles and environmentally friendly production standards. Making these small incremental changes such as switching to only using organic cotton to produce clothes made after 1996 allowed Chouinard Equipment to transform into the Patagonia we all love and know today. Patagonia jackets are uniquely designed for climbers in mind combining an array of custom fabrics and production techniques for the best adventures days. The intricate process by which Patagonia undergoes to ensure the quality of their jackets is simply astonishing and all of that hard work is translated into their various high-quality products. Patagonia has really stepped up their product line for 2019 offering some very nicely crafted waterproof jackets designed for all sorts of outdoor exploration enthusiasts. Below, we’re going to list the top Patagonia jackets available on the market in 2019 to help you make the perfect decision when buying your next activewear jacket. We’ll explore every element of the following entries to ensure that they meet design, durability, comfort, functionality, performance, and protection standards. In a Hurry? Here’s My Top Pick Up Front: Personally, I love the DAS Parka available at this listing. It’s comfortable, durable, and flexible (doesn’t feel like a straight-jacket). The Patagonia Calcite waterproof Jacket is available in both men’s and women’s sizes so everyone can get the protection they need and deserve. The Patagonia Calcite Jacket is crafted using 2.5-layer GORE-TEX Paclite Plus textile that delivers a powerful durable water repellent finish that makes it waterproof, making a barrier between you and the unpredictable natural elements to keep you warm and dry. The Patagonia Calcite Jacket was designed with good durability and functionality in mind, the outer shell of the product is made from a polyester fabric that consists of a unique texture for added comfort. The warm Patagonia Calcite Jacket features dual-adjustable drawcord hems seals that establish an impenetrable seal between the jacket and your body to keep you warm. The dual-adjustable drawcord hems lockout virtually all forms of extreme weather to deliver a clean fit and maximum protection against water. The Patagonia Calcite Jacket features an exterior left-chest pocket that has watertight zippers and a welted handwarmer to deliver versatile protection and comfort without slowing you down one bit. The breathable Patagonia Calcite Jacket watertight zippers, welted hand warmers, and left-chest pocket are coated using Patagonia exclusive (Durable Water Repellent) or better known as DWR. The Patagonia Calcite Jacket also comes with DWR sealed watertight center-front zipper and treated venting pit zips to keep you dry and free of bad odors while on serious good adventure days. The Patagonia Calcite Jacket has a built-in helmet-compatible hood that comes with a laminated visor and single-pull adjustment capabilities. The Patagonia Calcite Jacket provides comprehensive protection that is crafted using eco-friendly products. The Patagonia Calcite Jacket is very lightweight and durable which makes it perfect for those climbers who are serious about being able to adapt quickly to changing environments. The watertight weatherproof seal in combination with the DWR coated design components make the lightweight Patagonia Calcite Jacket one of the most effective and resilient climbing jackets available. The Patagonia Nano Puff Jacket was designed with maximum protection and comfort in mind. The Patagonia Nano Puff Jacket is crafted using a 100% recycled synthetic polyester lining in combination with a ripstop shell that is waterproof. The Patagonia Nano Puff Jacket comes with a variety of built-in textile features and materials that are effective at protecting you from external threats like water while boosting your comfort level in the process. The Patagonia Nano Puff Jacket features a horizontal brick quilting pattern that provides stable good insulation and resilient abrasion-resistant fabric. The Patagonia Nano Puff Jacket comes with two integrated hand warming pockets to keep you warm that have complete zipper garages and an internal chest pocket that can serve as a storage slot or a reinforced carabiner clip-in loop. The Patagonia Nano Puff Jacket has an adjustable drawcord with drop-tail hem seals that retain warmth and naturally produced body heat for extra comfort while adventuring. The Patagonia Nano Puff Jacket features a center-front zipper that has wicking technology incorporated into it in addition to an interior storm flap and zipper garage near the chin for total coverage and protection during hiking days. The Patagonia Nano Puff Jacket has a very lightweight yet durable and breathable feel to its overall design and texture which makes it comfortable yet practical. 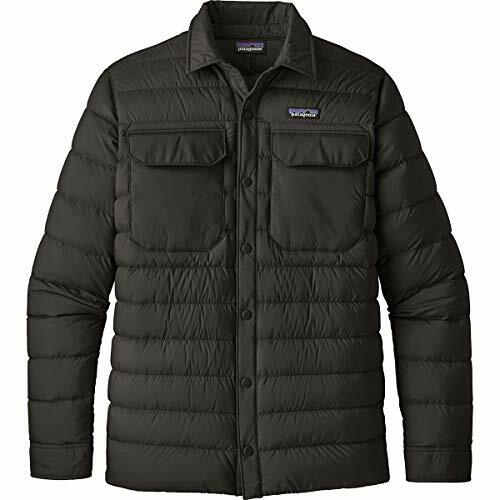 The Patagonia Nano Puff Jacket combines good heat insulation with water-resistance and abrasion-proof capabilities into a nice lightweight jacket that is highly compressible. The design of the Patagonia Nano Puff Jacket gives you the ability to be as flexible as you need to be without giving up protection or coverage. The Patagonia Nano Puff Jacket features a 1.4-oz 20-denier shell that is coated with specially formulated DWR which provides a durable layer of water resistant materials to shield you from the threat of excess moisture or dangerous rains and water. The Patagonia Nano Puff Jacket comes with a built-in waterproof interior lining that is made using the same 100% synthetic polyester material as the shell. The Patagonia Nano Puff Jacket also comes with 60-g PrimaLoft Gold Insulation Eco technology which retains 95% of naturally produced body heat even when in contact with water. 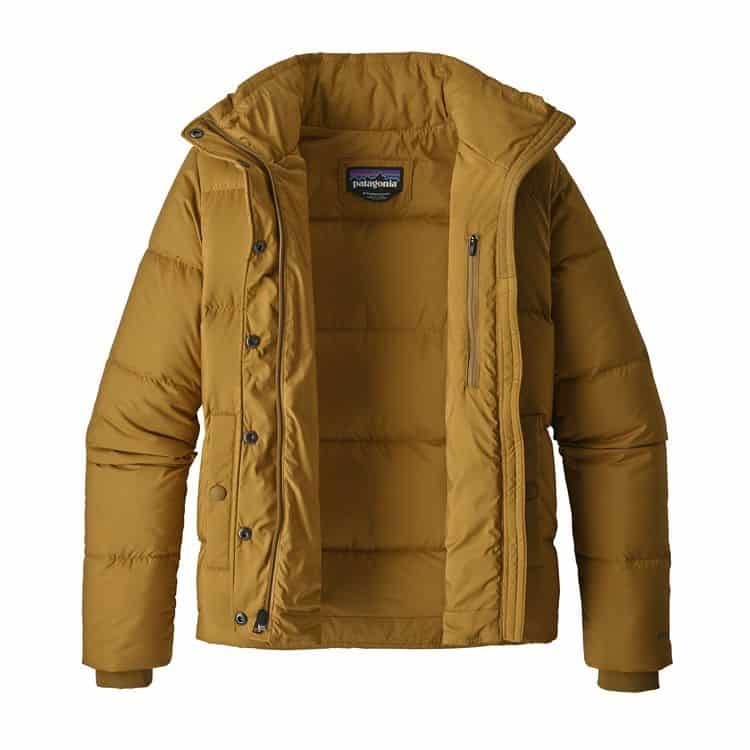 The PrimaLoft Gold Insulation eco-technology on this product really adds next-level protection, versatility, and comfort into an already durable jacket. The Patagonia Nano Puff Jacket combines elements of essential protection and functionality to deliver a durable climbing jacket that you can believe in. The Patagonia Nano Puff Jacket is the perfect option for those climbers who are serious about all-around coverage. The Patagonia Nano Puff Jacket comes with 3 layers of water-resistant materials with innovative insulation textile which delivers amazing performance and practicality. The Patagonia Silent Down Jacketis the ultimate in protection, functionality, and comfort. The Patagonia Silent Down Jacket is crafted using 100% synthetic polyester that is 70% recycled in combination with naturally sourced textiles that deliver ultimate comfort and protection against the wind and a variety of other elements like water. The Patagonia Silent Down Jacket features a mechanical stretch fabric that adds an underlying of mobility support which makes it easier for you to be versatile while you wear it climbing. The Patagonia Silent Down Jacket also comes with a built-in full-zip zip-through stand-up collar which adds a solid barrier of protection for your neck against harsh weather conditions and changing climates. The Patagonia Silent Down Jacket was designed with a media-compatible interior zipper pocket which allows you to easily store your smartphone or another electronic device while exploring the wild outdoors. The Patagonia Silent Down Jacket is a very comprehensive protective outwear piece that truly covers all bases. The lightweight Patagonia Silent Down Jacket has an integrated stowaway hood that comes with a zippered enclosure for protection against the elements. The Patagonia Silent Down Jacket uses a combination of duck and gooses down products to provide a strong 700-fill-power insulation liner that keeps you warm in the coldest of environments. All around, the Patagonia Silent Down Jacket is a very powerful jacket that combines premium quality materials and functional design elements to deliver a durable jacket for climbing or any other outdoor activity. The Patagonia Silent Down Jacket features low-profile cuffs that sit on the arm while keeping the sleeves secure, this adds a sleek and functional appeal to the overall design. The Patagonia Silent Down Jacket also comes with an adjustable hem with interior routed cords that are in the hand pocket to deliver the ultimate in stealth and customization. The Patagonia Silent Down Jacket has virtually everything you want and needs in a protective outwear jacket, it’s interior media pocket, integrated stowaway hood with insulation, adjustable hems, and more create an innovative jacket that can withstand the toughest elements. When you are dealing with bitterly cold temperatures involving wet and windy weather few jackets can keep you as toasty as the Patagonia DAS Parka. Patagonia absolutely outdid themselves when they made this parka. Not only is it visually a very sleek, attractive jacket but it also the warmest jacket the company provides. This parka will take you through extremely cold temperatures, especially if used in conjunction with other layering pieces like the R3 Fleece mentioned earlier. Many people find that on its own it can be even too warm! The shell of the DAS Parka is made of a super lightweight but incredibly durable Pertex Endurance ripstop nylon treated with a polyurethane and DWR coating to make it repel water and stop the wind. There are two types of insulation used- PrimaLoft Silver Insulation Hi-Loft and PrimaLoft Gold. The PrimaLoft Silver contain numerous denier fibers which improve heat conservation. This insulation is throughout the entire jacket. The PrimaLoft Gold is added to the core of the jacket (chest, back and abdomen) for additional thermal efficiency. Like other Patagonia jackets, the DAS Parka is surprisingly thin and compact for the warmth it provides. If you do find that the weather changes and gets too warm, you can easily remove the parka layer and bundle it up to fit into a very small compartment of your backpack or gear bag. Since this jacket is designed to be used for outdoor activities the large, roomy hood is designed to allow the use of a helmet for skiing, snowboarding, climbing, etc. For further wind protection, the hood has a drawstring to cinch the hood closed. The center zipper has a wind flap as well. Despite having a high collar, the combination of such a soft material plus a fold-over zipper means your neck will be comfortable. Overall this entire parka is super comfortable and flexible- a real plus for those people who hate the stiff material and “mummy effect” that so many parkas designed for the frigid temps’ cause. Both men and women have DAS Parkas available. Unfortunately, both models only go up to an XL which may be troublesome for some larger men or those who really layer a lot and need a bigger jacket. Like all best Patagonia jackets, this jacket is specifically designed for each gender’s anatomy which ensures a perfect fit, especially for women. If you need a seriously warm jacket for everyday use in harsh winters or plan to participate in outdoor activities/sports, you can rely on the DAS Parka to keep you warmer than you thought would be possible. For the latest prices and discounts, check here. This seems to be the never-ending debate. I’m constantly bombarded with questions from friends about which brand I prefer. Both brands have gone mainstream at various points, well beyond the “camping and hiking” crowd. The main difference – on the surface – is marketing. Patagonia actively tries to limit consumer culture and sells a more “environmentally conscious” brand experience. Still, the truth is that both companies have some solid offerings. If you want to check out what North Face has to offer, see this guide for the top 3 jackets. Check out our list of the top lightweight rain jackets here. Who doesn’t love a good fleece? You can check out my top 3 favorite fleece jackets here, one of which is a Patagonia entry! 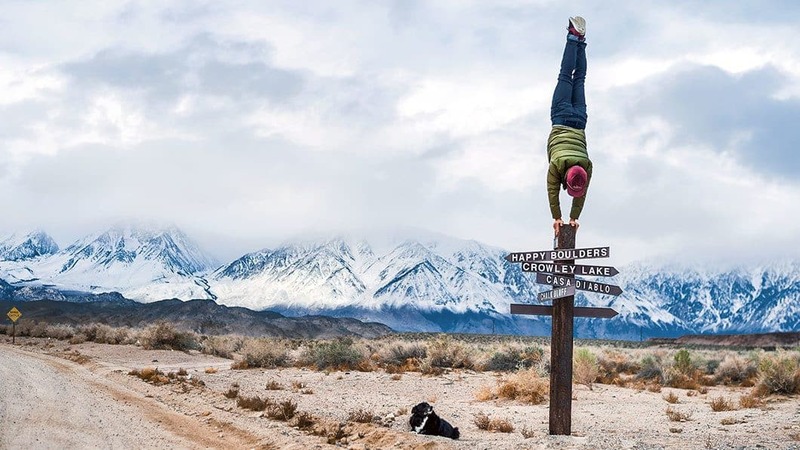 The warmest jackets listed above are all really great choices for serious climbers and outdoor enthusiasts who need real protection and versatility in their clothing selections. When you’re ready to purchase your new Patagonia jacket, you have several purchasing options to choose from. Patagonia caters to a very niche-related group of people who are outdoor enthusiasts, climbers, cyclists, and more. Because of this, Patagonia products are not readily available in traditional retail stores. When you’re ready to purchase your new Patagonia jacket, you’ll have to either purchase it online or through a sporting goods retailer near you. Many sporting stores and fitness appeal retailers carry Patagonia jackets and other products. If you’re interested in hiking in Patagonia style and purchasing your jacket in person, try going online to do some research about local sporting stores near you who may carry the product you’re looking for. It’s always best to call the store prior to visiting them to ensure that they have what you’re looking for in stock. One of the main benefits of purchasing your Patagonia jacket in a physical store is that you’ll be able to try it out to accurately get the right size before finalizing the transaction. While it’s great to try your Patagonia jacket on before purchasing, purchasing through third-party retailers and websites could cost you to spend more money. The best ways to ensure that you’re getting the best deal on the Patagonia jacket you want is by purchasing your desired product directly from their website. The official Patagonia website regularly offers special deals and discounts on products for both men and women so that you can save money while getting the protection you need. When you purchase an item from the official Patagonia website, you’ll receive the standard warranty which protects your property for years to come although conditions do apply. Use all of the tips listed in this section to ensure that you’re getting the best deal on your choice of a Patagonia jacket that suits your needs. Patagonia is a very well-known and well-respected activewear manufacturer for a good reason. Their products are created with premium materials and an innovative design process that allows the team to deliver amazing products which provide true value to their consumers. In the section above, we talked about the top 3 recommended Patagonia jackets for 2019. All of the jackets mentioned in this guide are available on the official Patagonia website and third-party retailers, so you have a lot of flexibility when deciding on where you want to buy your pick. All of these jackets combine essential elements that every outdoor adventurer needs while exploring. Each warm product has its own unique design concept which focuses specifically on one area of outdoor exploration, some option put an emphasis on insulation while others put an emphasis on waterproof capability. Some of the jackets mentioned combining the best of both worlds for ultimate support and functionality, regardless of the design concept all of the jackets mentioned in this guide have one thing in common and that’s durability. Patagonia is known for their intuitive design concepts and environmentally friendly production process which just adds on to their already amazing line of protective outwear products and accessories. Patagonia jackets are for those serious outdoor explorers and climbing enthusiast who encounter harsh weather and terrains on a consistent basis. When facing these conditions, you won’t want to entrust your safety to just any company or product, Patagonia jackets have been proven to protect their users by the effective implementation of high-quality materials and design standards. 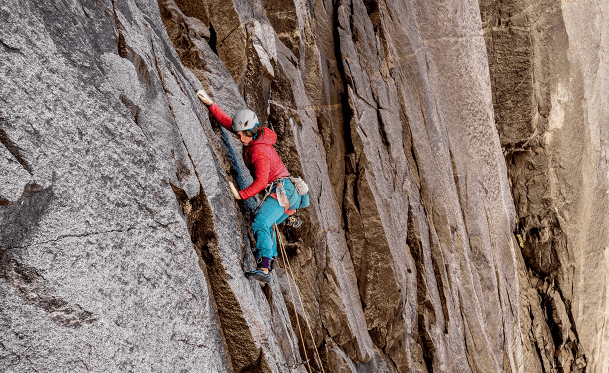 All of the jackets mentioned in this guide are some of the best picks of 2019 and if you’re serious about your climbing then you should look into purchasing one of our recommendations. The winner of this guide is definitely the Patagonia Silent Down Jacket due to its all-around protection and resilient material design quality. When compared to other entries on the list, the Patagonia Silent Down Jacket offers the most bang for your buck however it is the most expensive option on the list. While pricing is often a factor when purchasing outwear protective gear and other forms of outdoor apparel, your safety is worth way more than any dollar amount. You should consider price before purchasing a Patagonia jacket however the products are well worth the money and provide a level of confidence in knowing that you’re protected while exploring. 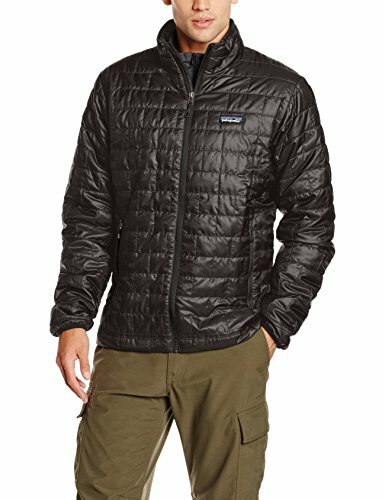 The Patagonia Silent Down Jacket simply delivers the most versatility and full-body protection while remaining lightweight and flexible. The Patagonia Silent Down Jacket will help you traverse troublesome terrains while staying dry, warm, and protected from cuts. It’s one of the most elite climbing brands on the market and if you’re serious about the outdoors, you need a Patagonia jacket in your collection. Use all of the information in this guide to help you make the right decision on which Patagonia jacket will provide the most protection, comfort, and versatility for your outdoor adventures. There are plenty more Patagonia jackets available than the ones listed in this guide, if none of our recommendations seem to include the key features you’re looking for, consider going online and doing some research in order to view the entire catalog from Patagonia for you to make more of an educated decision. All in all, if you’re in the market for a reliable jacket that will assist you on your outdoor travels without becoming victim to severe weather or an array of other conditions, Patagonia jackets has the right solution no matter what your needs are. As long as you follow the tips and information listed in this guide, you’ll be able to find the perfect Patagonia jacket that meets all of your active and protection needs. Consider pricing, size, and color before making a purchase to determine which factors are most important to your intended use and purpose in general. Once you have a clear vision on the type of Best Patagonia jacket you need and what features it has to have, begin your search and use the resourced in this guide to purchasing the perfect Patagonia jacket that will protect and shield you from potential dangers while participating in your favorite outdoor activities!